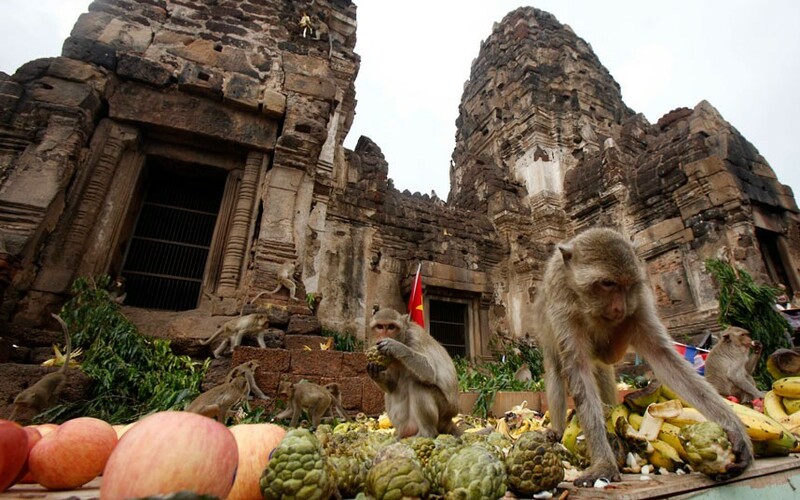 Dubbed “Monkey City,” the province of Lopburi (150km northeast of Bangkok) in Thailand is known for its population of long-tailed macaques that guard its ancient ruins and temples. 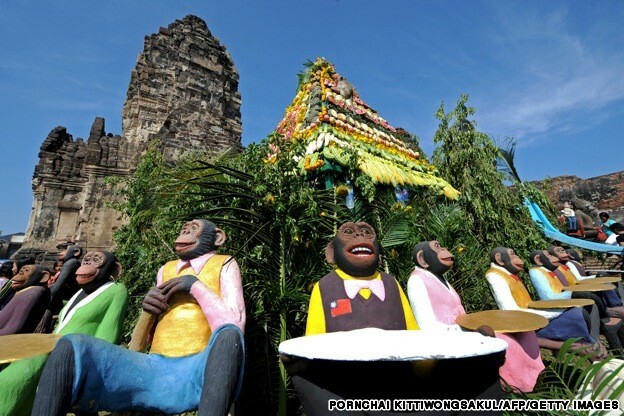 The Thai version of the Ramayana legend claims that the ancient city of Lopburi was created with the help of his friend Hanuman the Monkey King. 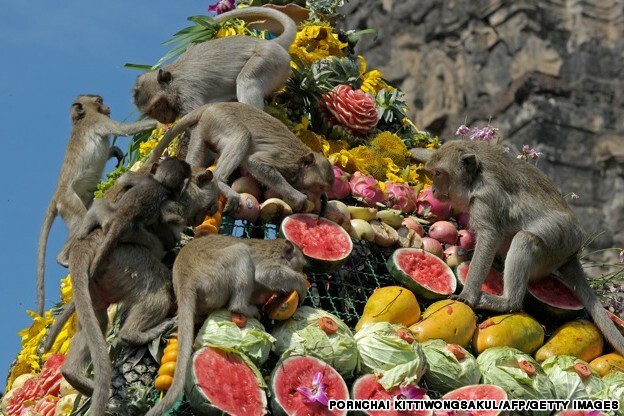 Many of Lopburi’s residents consider the macaques descendants of Hanuman, hence this monkey feast is held in their honour. 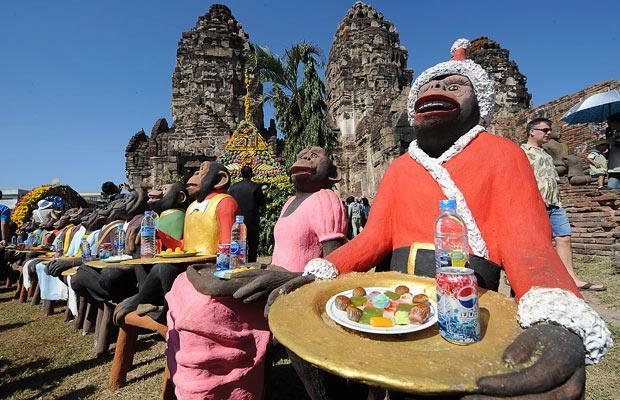 To give thanks to the monkeys, the city holds an annual “monkey buffet” feast every last week of November at an ancient Khmer temple, Prang Sam Yot, built in the 10th century by the Khmer dynasty with similar architecture as Cambodia’s Angkor Wat. And what a feast it is. 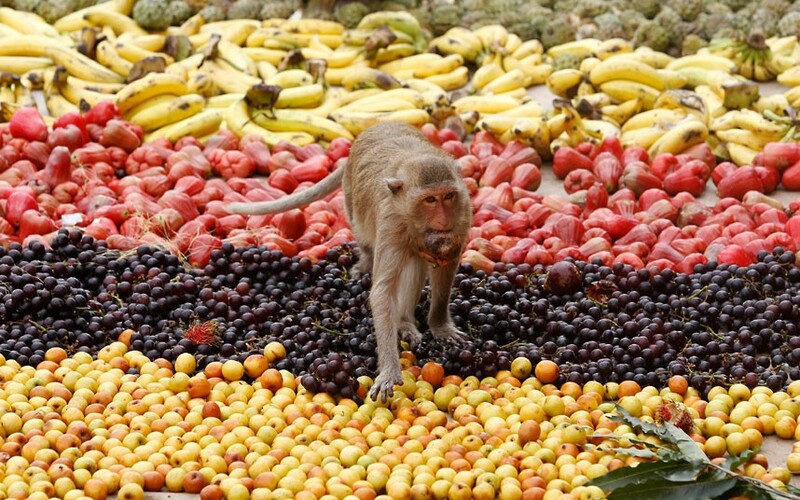 Buffet tables are laid out with with over 4,000 kilograms of food — peanuts, cabbage, watermelon, bananas, pumpkin, pineapple, boiled eggs, cucumbers, cakes, candies, and cans of soda and juice — all prepared for the monkeys. 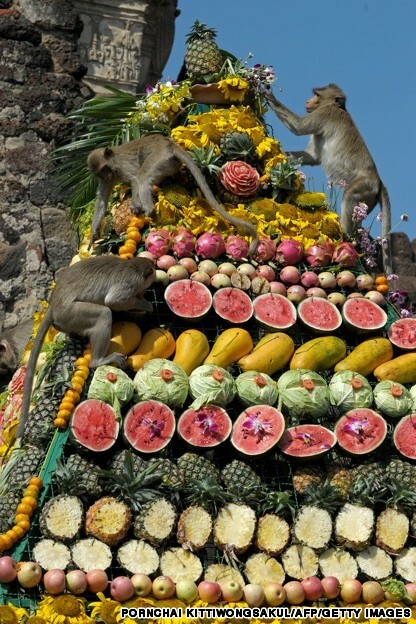 The fruits and vegetables are sometimes arranged in festive, colourful pyramids or simply laid out on mats by the temple, to the delight of the monkeys. 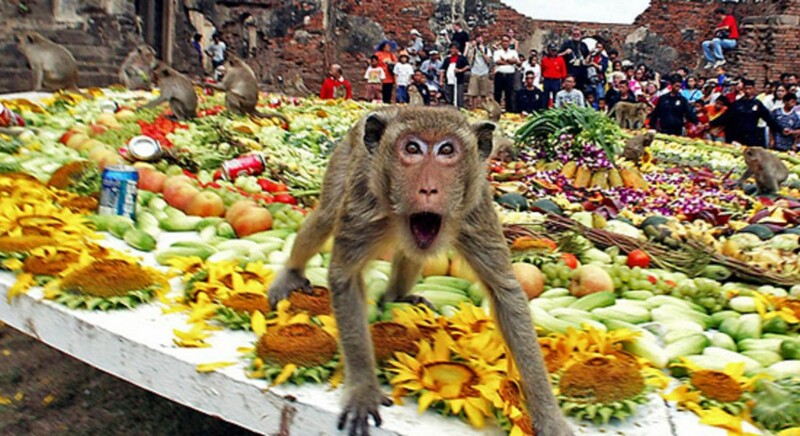 The buffet sparks a feeding frenzy among the 3,000 macaques that live in the area, and the festivities have become a popular attraction for both local and foreign visitors. 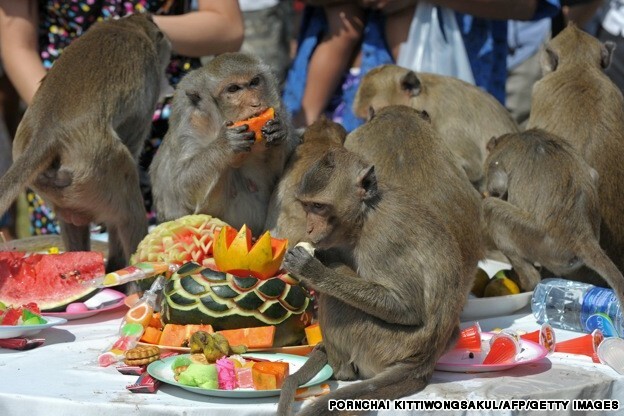 The monkey buffet festival also hosts performances and activities that celebrate all things monkey, such as music and dances with people dressed like monkeys in monkey costumes and monkey masks. 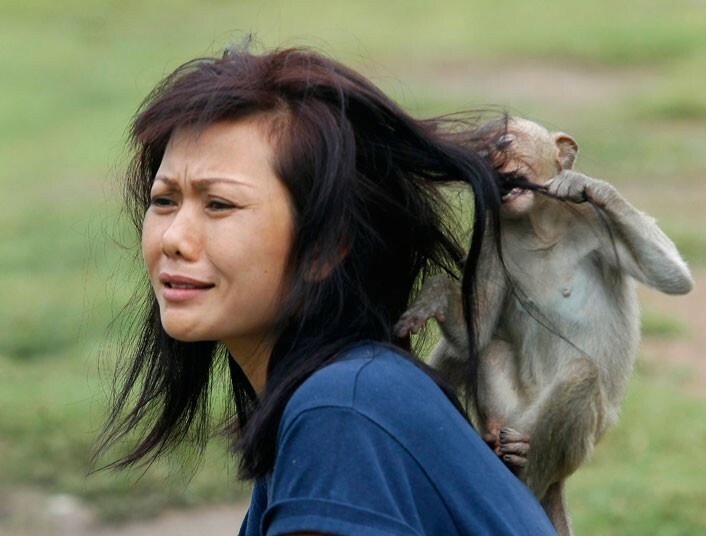 Monkey sculptures also flourish around the area. 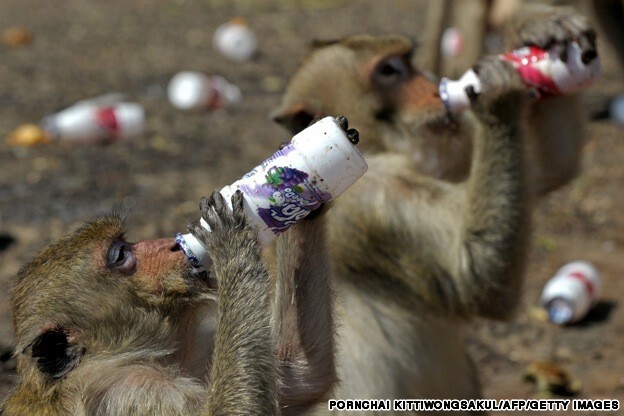 Lopburi’s monkey population survives in part due to Buddhist discouragement of killing animals. 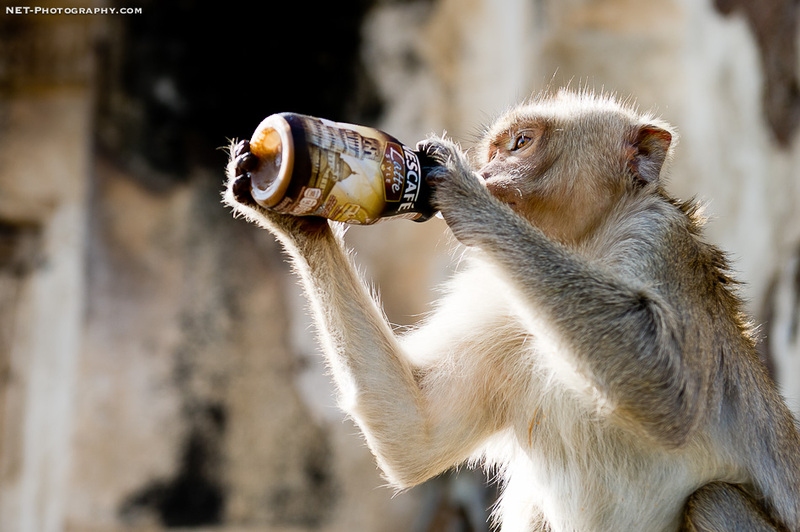 Because the monkeys that populate the town are used to human interaction, they have also been known to cheekily steal unwary tourists’ belongings or food. 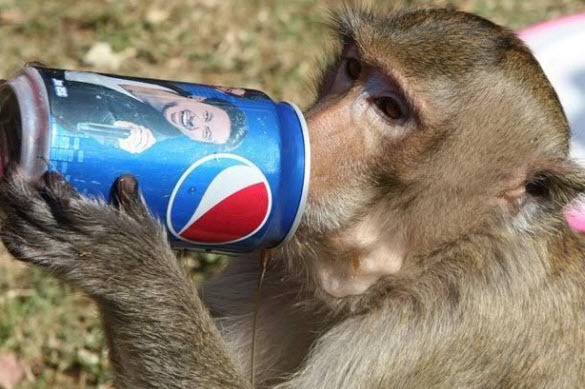 Officials remind visitors that the monkeys are wild animals and can get aggressive, and warn photographers against luring the monkeys with food. Lopburi is a three-hour train ride from Bangkok via Ayutthaya. Entrance to the Prang Sam Yot temple is 30 Baht inclusive of sticks that will help ward off aggressively cheeky monkeys.